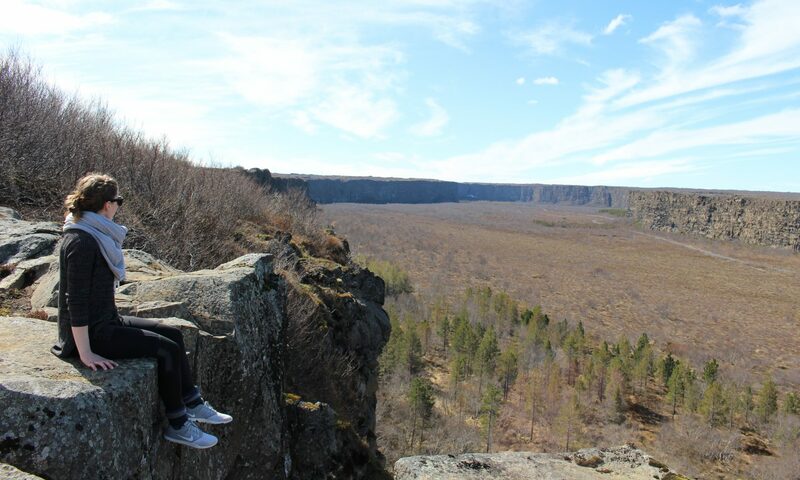 Just past the Mývatn area, you’ll find a couple more interesting spots to experience more incredible nature. 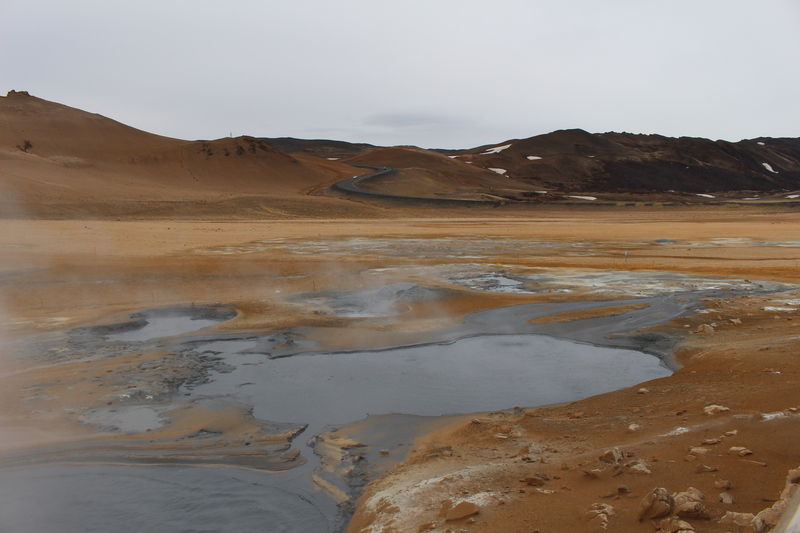 One of those is the Námafjall Hverir Geothermal Area. If you’re coming from the west, this spot will be a little bit of a shocking site. As you round and start to descend the substantial hill you just climbed, it will all of a sudden feel as though you’ve been transported to another planet. 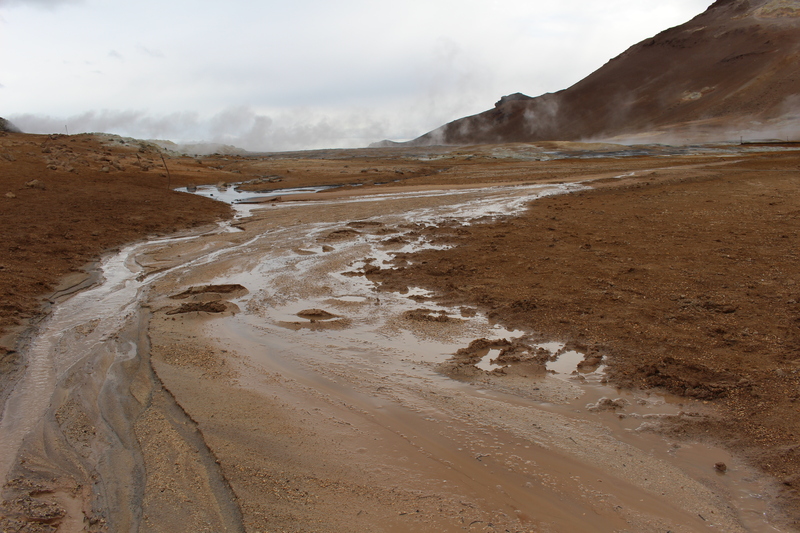 The landscape will turn from green and lush to almost desert-like with these mud pots spewing steam all around you. 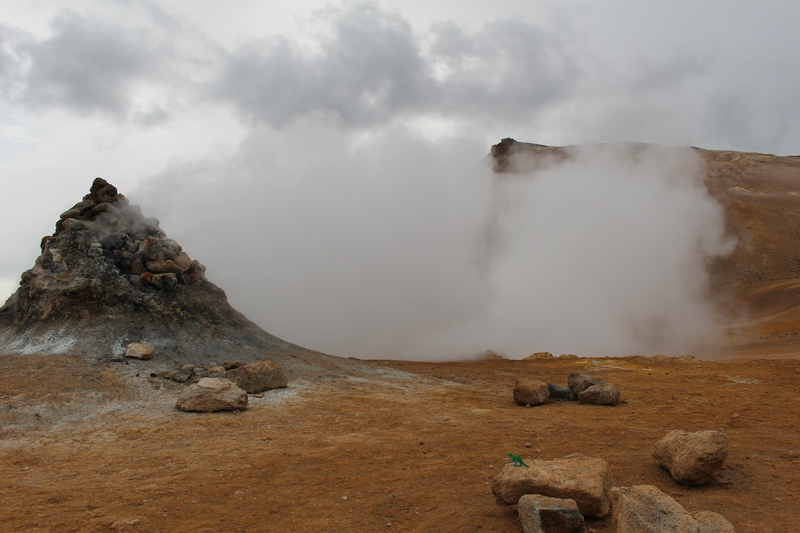 Once you’ve seen the mud pots and steam rolling, you know that you’ve reached the geothermal area. 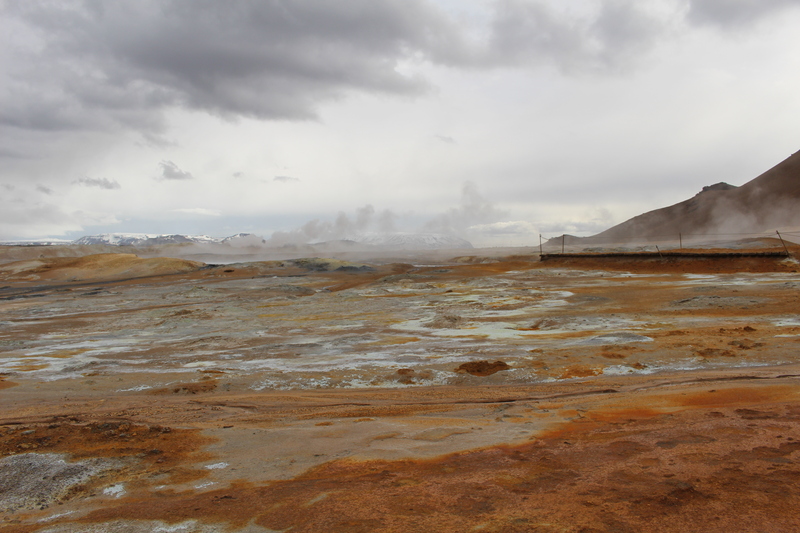 On the right, you’ll find a parking lot very close to the mud pots, and you’ll also likely immediately start to smell the sulfur in the air. This area was pretty incredible. The ropes allow you to get right on top of the mud pots and you feel as though you’re walking on the moon. 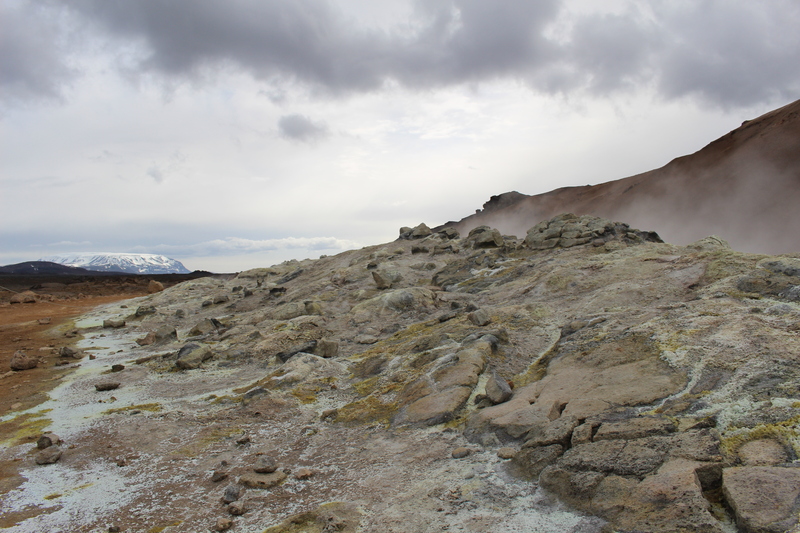 Just keep in mind that the sulfur smell is likely to be pretty overwhelming. I really struggled to breathe at certain points during our walk around the area. I would advise taking something like a scarf with you to cover your nose and mouth if you’re sensitive to smells. Regardless, the strangeness of the area makes it definitely worth stopping and suffering through some pungent scents. It will likely only take you about 20 minutes or so to walk around and get a good sense of the area. You could even spend less and see a good portion of it if you’re in a rush, so this site makes for an easy addition into your itinerary. This is the fifth post in the Ring Road Series.